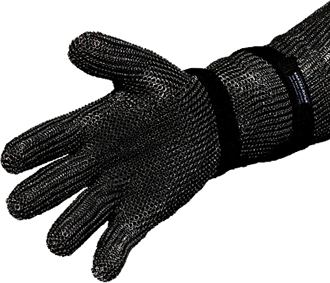 Intent:A special armor mesh designed by Sasori to use in their products refined and tested over a number of threads using real methods that can be augmented by sci fi technology within the star wars universe to mass produce and synthesize the material. Designed by Sasori after negotiations with the locals Klantooine and the establishment of a research base to study the properties of the substance. With some help from Senator Kay the research base was firmly established when they arrived with most of the materials they could secure being tested and methods of creating more setup. Their workers finding ways to use the wintrium as a glaze over threads of desh-terethium were created to test. 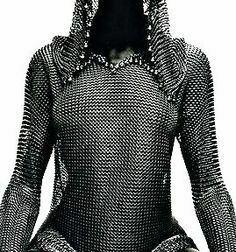 The decided upon process made less pure threads that could be loomed and worked to make a cloth and then a mesh work that would be able to go over armor or be sewn into clothing. The desh-terenthium strands were coated with the wintrium and aged under the artificial agers so it’s hardened just enough to be run through a spindle into the loom. With the work it makes the wintrium into a superior product that Sasori produces for equipment. With the materials as Domino said for their strength and universally applied synthweaving potential. Her advice helped so they could work it into a fine design of lattice mesh to go over armor and into clothing, construction materials, ship, weapons and vehicles. Their artificial aging machines easily took advantage of the age properties of Wintrium able to help it along and produce a stronger protective layer. With all of the work that Sasori did to put into and negotiations on other worlds such as Denon, Raxus, Cyrilla, Gyndine to rebuild and reconstruct the worlds into new self sustaining living modules. It provided from those worlds entire sections of city that was being reconstructed into prefabricated modules over thousands of kilometers of durasteel and materials that could be broken down for raw matter. it has allowed them to work with and produce a substantial edge in their craftsmanship while taking several pages from other companies but always trying to maintain the soul of using new and unique ways of doing things in their equipment. The mesh weave is very focused, combining the creation process two weaves and desh-terethium, a very flexible material that offers a superior platform for ultra lightweight mesh. Once the synthweaved material is properly pressed and spun it is run through the cooling wintrium that is aged in the maturation chamber just enough to not drip easily as it is weaved through the loom into a lattice work of meshed chainmail able to cover the body or equipment. With the aging process the weight increases slightly to counteract the super lightweight nature of the desh-terethium. This adds weight to it but not an obscene increase to it like the heavier armor. As it ages and become stronger the mesh gains moderate weight slowing movement. This can be worked on with time to create lesser protected areas to give freedom of motion. The areas for joint movement will be less protected and become stiff with time. Once the long cool down of the liquid is finished and it is hardened, it become like wearing a full suit of shell spider silk armor at its oldest. The levels of protection from blasters are strong with slugs and energy bolts being unable to scratch or penetrate the mesh. Lightsabers and melee weapons themselves cannot cleave or slice through it. She had new ideas of how to use it in vehicles, swoops, ships, weapons, armor, clothing and even technology they didn't want to have breaking.The primary component to using the converters created by Sasori for replication and breaking down materials in the galaxy as well as being able to store and use raw matter it created from observing it. Programmable Matter was the second thing that required scientists from Sakura to work with them as they were able to use the raw materials and conversion with current to recrete and alter it into the base material needed to create their own supply of wintrium. What was denied by outside factors from their facility was achievable far easier with just a little work. Kinetic impact can be imparted, turning the bodies insides into jelly if they are not careful. The closest in levels of protection is beskar, heavy, powerful and considered rare by the galaxy but the Sasori Mesh is different as it is a Sasori exclusive product that can be created ad-infinitum with the molecular converters they have developed. She fully expected several someones who won't do anything beyond gladly pass judgment to object to this. But She didn’t care as they were unwilling to put the work and creativity necessary forward to do anything similar. Additional weaknesses to the different types of special ammo that are able to be used in different weapons. The mesh does not protect from sound with sonic attacks and disruptors that can disrupt the molecules of the mesh as well as equipment to shave off layers of it and quickly get to who is wearing it. The few final things that Matsu worked on for it saw the mesh being sent into the Bubble of the Lost to be worked on, engineering to improve the manufacturing tech on the creation of raw wintrium, new methods to streamline the initial creation process so that the mesh can be made with a look of grandiose display. The works of the jedi under her tutelage as well as others who have worked to develop with her a bond of trust used the bubble to advance the technology as well as methods until they had a superior product. The work was continuing forward with many of the things the Jedi were doing, testing and making it a powerful force product that is able to better contain itself and have all of the material work together well. With her final review to go over it and show it off all that was left was to ensure that it operated well by testing it in the field under different situations. A mission here or there, recovery efforts within the Rift as Matsu sought ways to test it with the different materials for different types of armor that could be synthweaved into it for different purposes and designs. Jedi, soldiers, common men and woman from the richest politician to the lowest worker all were worth wearing this should they serve the light in Matsu’s mind. Some more of the equipment testing that has been done was with weapons created by Sasori itself like the blade of sorrow, which when activated is designed to slice through the molecular bonds of what it is sent after. High impact slug weapons that impact against it can transfer the impact to the wearer but not easily penetrate it, acid can melt layers of the mesh creating a boiled off effect. Sonic weapons, cryo and gravity based weapons can alter it and get through the protective mesh, as a means of protection from conventional weapons it is amazing. When you start getting towards the exotic types of weapons. Omnibreaker replaced by Blades of Sorrow in weakness section. Edited by Matsu Ike, 09 March 2018 - 10:50 PM. Wintrium is a limited resource which only occurs on the planet of Klatooine and only is observable from the fissure in the planet's crust that created the "Fountain of Ancients". Wintrium is also nearly impenetrable, even for lightsabers, after it has been oxidized for a considerable period of time. I don't see where you're going to be finding enough Wintrium to create a mass produced product created from it. This, coupled with the fact that Wintrium is near-impenetrable with enough age, even to lightsabers, and you've stated this would be artificially aged, is going to bar you from mass or minor production. I'm going to need development involving the synthesizing of this material for limited, specifically for that purpose, because this isn't something that is found like oil, and is extremely difficult to cut through, much less process. I don't see any chemistry-related operations under Sasori Research, either, which is what creating a synthesized compound would fall under. I'm also uncertain as to how you're going to be obtaining the wintrium, as it's extremely durable and the latest display of this was in 44 ABY (801 years ago) which means that, given the time passed, I can't really see any traditional mining equipment, or even lightsabers, being used to allocate the material. Given this, I don't see how a mesh is totally possible based on that. The desh-terenthium strands being coated with the wintrium and aged under the artificial agers so it is hardened just enough to be ran through the spindle into the loom. Wintrium immediately solidifies into a glass-like compound when exposed to air, how are you accomplishing coating the desh-terenthium with wintrium? Using the wintrium they could work with before heading into further testing it was shown how strong it could become given proper maturation in the maturation chambers to artificially and rapidly age materials like the wintrium into something highly protective and more resistant with the more age applied to it. Eventuallly it will be some one of the strongest meshes in existance given several thousand years. This is an extremely ambiguous and vague statement that implies this could become more durable than beskar over time, via aging, and because you state that this material is artificially aged to reach the same properties as naturally aged wintrium, except quicker, I'm going to need this to be removed from the submission's description. The way the submission stands, I don't see it being able to be approved. Substantial changes will need to be made, and the questions and concerns, stated above, will need to be addressed. On a fundamental level, I'm not sure if this would even work the way you're trying to make it work. The fruit pak'pah could be grown only on Klatooine, and many scientists attributed this to the presence of wintrium in the planet's soil. It is in the soil of the planet itself, the fissure is just where it could be taken after being exposed to the dry desert air. As it is the research lab looking at it collects samples which would be free from exposure for a brief period of time. That and it does not become unbreakable off the bat once it is exposed. Glass like can still be cracked and broken to be used much like with crystals in the spindle. Formed into strands as it runs through to be used in the loom. Unlike the crystal or other types of weaves they have developed though there would be a time table for it as it takes 10,000 years to cool with more coming nearly all the time. the wintrium would cool, and add to a continually evolving glass "sculpture" which resembled a plume of water frozen in time. If it is always evolving and having more so it can seem like a living sculpture there is and should be more then enough for mass production and is why there is a small base to continually study and work with it. To learn how best to implement it as a mesh and fibers was recommended over a solid plate or trying to make pure armor. Smaller meshwork that will harden with time but can be made per section was a better recommendation. It extends how much is used of the liquid coating the desh-terethium and as it hardens and becomes heavier the very lightweight metal will help. This would be until artificially aged I would equate to working titanium for making chainmail. the last part has been removed though technically and in theory it can become stronger then beskar once it is old enough so it seems a deception not to mention that and omit it. as for production I am not opposed to a lower production and adding a substantial amount of work and research to slowly increase the production limits. If it is always evolving and having more so it can seem like a living sculpture there is and should be more then enough for mass production and is why there is a small base to continually study and work with it. Wintrium oozes from a fissure in the ground on Klatooine, solely from the fountain of ancients (which is what canon actually states in the books where it is used in), and the reason why the fountain is a "continuously evolving scultpure" is because it is constantly being pushed out of the ground, through that fissure, which gives it the illusion of growing. It's roughly comparable to the "growing" effect that island volcanoes have, in that they are pumping magma (lava once exposed to air) to form a new layer of crust from the mantle whereas the fountain expels wintrium that forms the glassy water-like "sculpture". The only difference is that there is far less wintrium than there is magma in a planet's mantle. This means that the fountain is one large object, hardened wintrium, which has gradually softer layers of it below it that harden as they push the rest of it out. Trace amounts of a substance scattered throughout the soil (we don't even know where the fruit is on the planet in relation to the fountain, how much of the fruit exists, or how closely together they are able to grow) do not necessarily mean it is abundant. Unlike the crystal or other types of weaves they have developed though there would be a time table for it as it takes 10,000 years to cool with more coming nearly all the time. If the material was pushed out of the fountain at the rate you are describing, the Fountain of Ancients would not be anywhere near as small as it is described in the books it is featured in unless it was released from the fissure at such a small amount at a time that it would serve to provide nearly no impact in the change of the size of the "sculpture". Regardless, this is not being approved at mass production, or minor, as I stated prior, with the way the submission is currently. Please list all strengths, weaknesses, and special features present in this mesh. Does it block lightsabers? Blasters? Slugthrowers? If so, how thick does this need to be layered to do that? How heavy is this compared to most other clothing articles when used for clothing (which this submission states it can be used for)? Besides the obvious that wintrium becomes harder with age, you're not really explaining any of the strengths this submission potentially has. Does this mean that this can't be used for armor/clothing after a certain point? This really doesn't say anything. And, even then, you could simply make whatever it was you wanted early on and artificially age it from there and circumvent this right off the bat. If so, how thick does this need to be layered to do that? How heavy is this compared to most other clothing articles when used for clothing (which this submission states it can be used for)? And how much lightsaber resistance does this provide? Equal to phrik/beskar? What kind of melee resistance? How thick & heavy is it when it provides these levels of protection? Is it light while providing heavy lightsaber resistance? 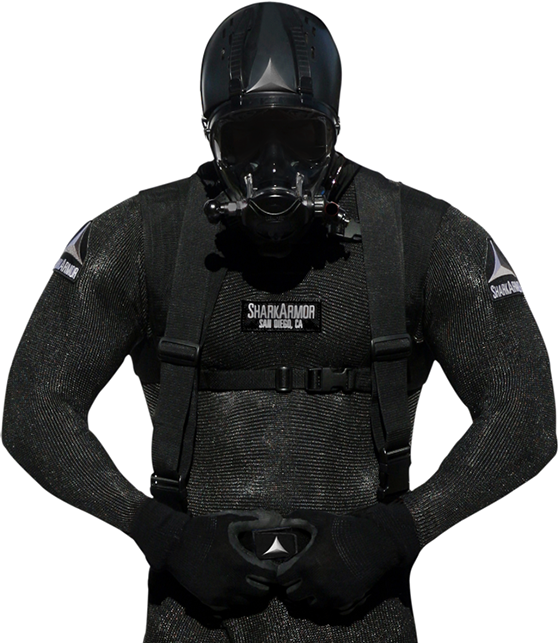 Is its weight comparable to durasteel when used as an armor substitute/application for personal clothing/body armor? Lightsaber resistance. - That's great, but you state it gets harder with age, so is this when it's at the full extent of its age or from early on? How much of this needs to be present for it to be lightsaber resistant? Is it an ultra-thin layering (like a second layer of clothing) or is it like a plate of armor (i.e; breastplate kind of deal)? How heavy is it compared to conventional materials? Blaster resistance - So does it provide full resistance from the get-go, or does it go from minor protection to full protection over "time"/age? Melee Resistance - how much of this needs to be there to act like conventional armor and soften blunt force trauma? Is it heavy at that point? And after reading your development thread (the 101 post one) I've notice this is being described in comparison to beskar as a similar or equal material. This is not being approved if that is the intention behind this submission unless a massive amount of changes are made so that it is balanced to beskar. This is not an approved submission. Submissions which are not approved are not to be used in submissions which are under review, as they may not be approved. For the threads over 50 posts, can you give me the post number(s) where the material is being utilized? The main threads where it is featured heavily being worn, tested, made or worked on are here. These ones have the most direct and continuous activity for it all with the development. Some fluff to break up the techno-babble and a solid plotline showing progression. Yellow Flag is establishing the facility that initially harvests and starts analyzing the wintrium while resurgance involves collecting testing material from the Chiloon rift. Specifically the facilities there in the bubble of the lost where it is being worked on.The information was acquired and sent in the shorter thread where in the end Nico gleams the information from a hutt watching her dance.Morse and Cynna go to pick it up, discover it is stolen and go recover it as they don it to fight some of the pirate/bounty hunters. Curiosity has Cathbodua and her padawan wearing the mesh while facing undead in the tombs to test it but also clear the tombs. The dominion the three participates used have it in each of their posts. These are the largest and also the most fluff with testing being in the field specifically by the characters who are detailed in the small descriptions. I want the actual posts where these are being utilized. Some of these threads, such as the rebellion and dominions, are not about this material and have hundreds of posts from other members about the planet in question - and while I'm perfectly fine with reading through one dominion, nearly three thousand posts in total to find however many relevant posts regarding this submission is a task I'm not willing to spend the next few months finding, annotating, and then re-reading in relevance to the submission. Simply list which post numbers are relevant beside each of the links you've provided and I can go read those specific posts and how the material is being used. This will make it way easier to get this submission reviewed then having me spend what time I have available to search for posts. Lily Kuhn yeah I am getting them for you just a lot of looking through like you said. Resurgance #25 mesh is revealed to have been taken with jedi team by nargons to another facility and Morse and Cynna go after it. From there until Resurgance #49 where Morse finds one meshed suit and puts it on to continue forward and battles a Nargon as well as some bounty hunters. By Resurgance #57 she has tested it having taken a blast and slice to her body. surviving and not breaking the mesh but feeling it jostle and impact her heavily. Curiosity #90 where Cathbodua receives her own mesh to wear in place of the chainmail in her bodyarmor after workign with her padawan to test the meshed robes of the guardian earlier. From here she is wearing it with her padawan as they confront a jakobeast and a zombie. In Curisoity #116 it is explained further about the mesh and what it will protect them again while they are walking. In Curiosity #126 as a darkside creature tries to get close the lightside enhancements recoil it away when it tries to claw the jedi knight. From there they are exploring another tomb and it is more of the same. Paradise Lost newest prototype fighter using lightside mesh plating is brought to be tested. Paradise Lost #76 Sai fel uses prototype fighter to go from space to underwater tunnels into a nest of firebreathers and goes out one of the vertical shafts to escape. Paradise Lost #200 Matsu collects data about prototype fighter and works on how best to augment it. Hothpitality is being worn to protect from the environment in a limited effect as the padawan cannot wear it over her main body. Hostpitality as she continues to wear it while searching through the treasure. Did Ya #59 Sasori transport is shot down carrying the mesh and tracked by Nico and Via into the jungle of Weyland. Dominion of deneba Ayumi sets up and starts using the the facilities. dominion of deneba #172 project status continues as Ayumi has been having scrap and waste broken down and converted as needed to produce raw materials. Rebellion of Deneba #117 Cathbodua on planet wearing the mesh with medical personnel. Rebellion of Deneba #179 Cathbodua remains on the planet and some people arrive. Short and non start as the ones who were there stopped posting. Under Pressure facilities established earlier for manufacturing and breakdown. New orders and request for scrap and everything to be turned over for mesh project. Under Pressure #146 project breakdown of components continues in the background facilities as Ayumi works and makes plans with Safiriel. Paradise Found Ayumi exits bunker and is joined by soldiers and engineers from Sasori who came with Matsu to the shipyards. Receiving a proto-mesh to protect herself while outside in a dangerous combat area. Paradise Found Ayumi gives the information about the mesh to the workers as she is getting her people help. yeah I am getting them for you just a lot of looking through like you said. I appreciate the summaries you're giving me along with the slew of links you've provided, but I really just want the post #'s (such as #37, #50, & #62 of Dominion X for example) without the details you've included. Don't worry about summarizing each thread for me, just go to the dominions and other large threads, find the posts you and anyone you are working with made that included this material, and then create a list of those post #s for those threads and post them here. I will go through and read them, following that, and then we can get started. And don't worry if the threads have less than ten total posts, I'm more worried about finding all of the posts than I am about whether a few threads don't meet the standard quota of 10 when you have accumulated way more work than that. So if there's only six relevant in a dominion thread, just give me those six post numbers (you don't even have to link them) and that'll be fine. Alright I have the post numbers and I am fairly certain I got all of them. I will be reading through these posts, now, then.